Developed by Sansoft for Windows. 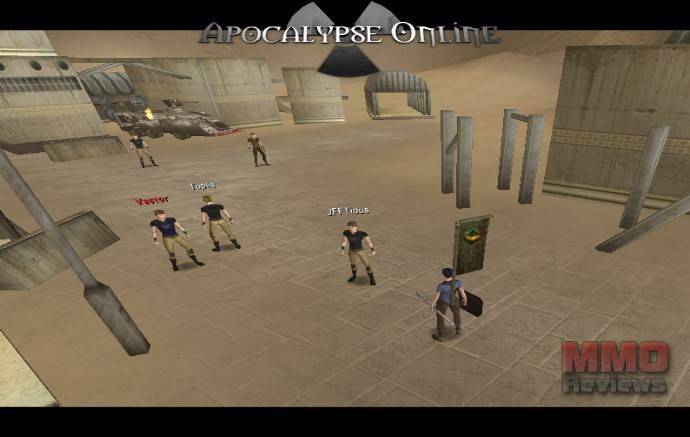 A MMORPG, where you can take four sides to battle each other on a desolate piece of land called "Duskland". The game is designed to be simple yet fun, focusing on PVP (player versus player) combat and faction vs faction war. It takes place on a future Earth that has been ravaged by war. Society itself has been obliterated leaving only a few losely banded organizations attempting to protect themselves from the anarchy that threatens their day to day lives. It has four factions, Nomad, Tech, Raider and Enclave. Each unique in its gameplay and lore. - Nomads: Despite their name, the Nomads are not actually nomadic. Following the apocalypse, what was left of man kind was first to adopt primitive means of survival. Their current abilities in war are a reflection of their simple past. A Nomad is normally most proficient when he isn't forced with blunt combat, but instead when he able to trap, sneak, or poison his enemy. They are also world renowned healers. - Techs: Techs survived the apocalypse by establishing themselves in underground shelters. They have a special interest in old ruins across Duskland, as their insignia has been spotted on all sorts of ancient buildings, though the reason why is at this point undetermined. Techs are the only faction whose leaders actively seek out answers about the past. - The Raiders: The Raiders were once Nomads, but during a brutal campaign against nearby tribes, the commander, legendary Jaims' Tahmsin, brought them back against the Temple that rules the Nomads. Their capital city is called Unicorn Valley, and its location and appearance reflects their brutality. - The enclave: The Enclave a mysterious breed of highly evolved insects. They are human sized and bipedal, and even have the ability for language. They also have one distinct advantage over their human adversaries: they are nearly completely immune to radiation. They also are extremely proficient in “hand to hand” combat and most other kinds of combat.